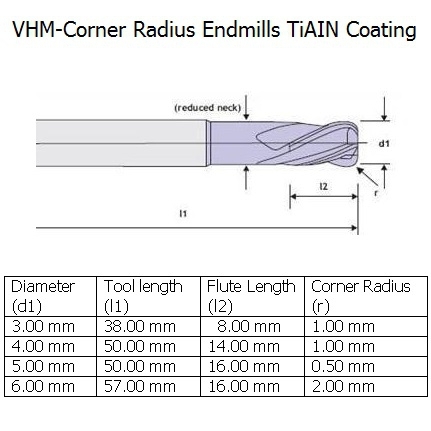 VHM Corner Radius Endmill TiAIN coating 3mm 2 flute | DamenCNC B.V. The tools improve productivity and reduce costs. 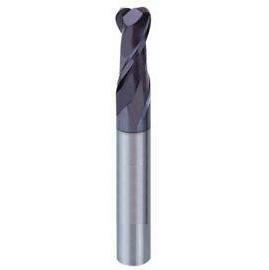 A sharp corner of an end mill is its weakest point. 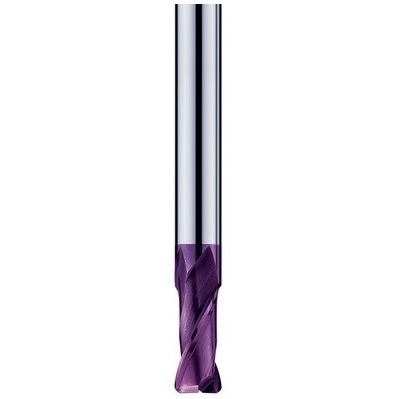 The corner radius design strengthens the end mill by reducing chipping and providing longer tool life. In mold applications where ball end mills have traditionally been used, a corner radius end mill will remove more material faster, improving productivity.